Welcome to Day 24 of 31 Days of Getting Organized by Using What You Have. 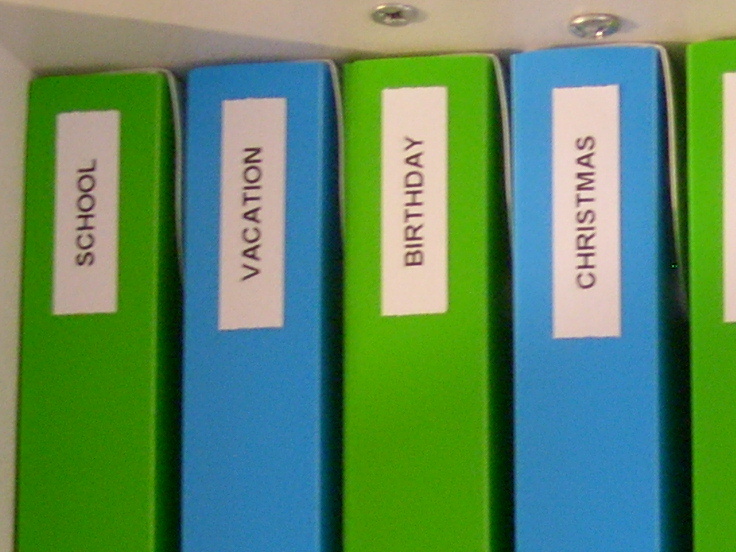 Labels are one of my favorite things to use in organizing. There are so many options, from simply writing something on a piece of tape to making beautiful vinyl labels or using pictures. The expense is minimal, if not free. 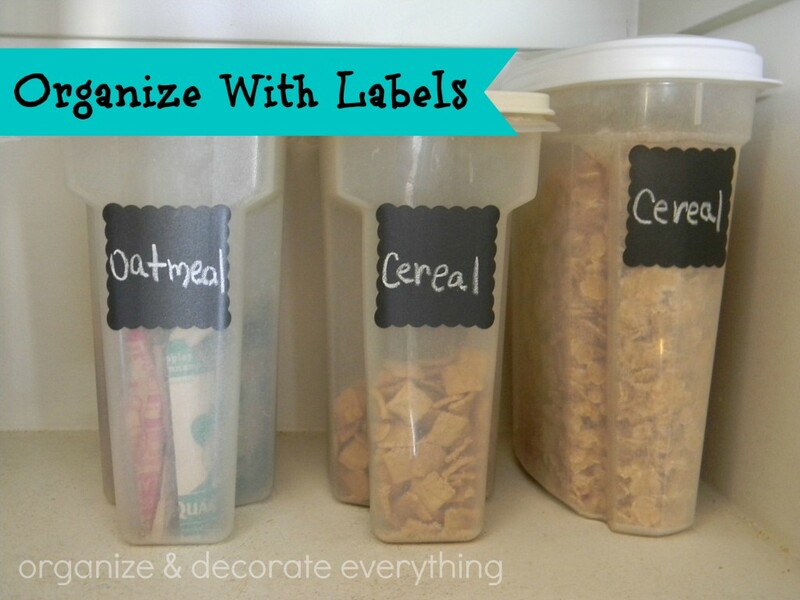 I use chalkboard labels in my pantry because I never know when the contents of a container might change. It’s quick and easy to wipe off the chalk and write the new contents. I’ve attached the chalkboard labels to glass jars also. I love the way it looks in my pantry and my kids can even put groceries away where they go. Sometimes a simple printed label will do the trick. 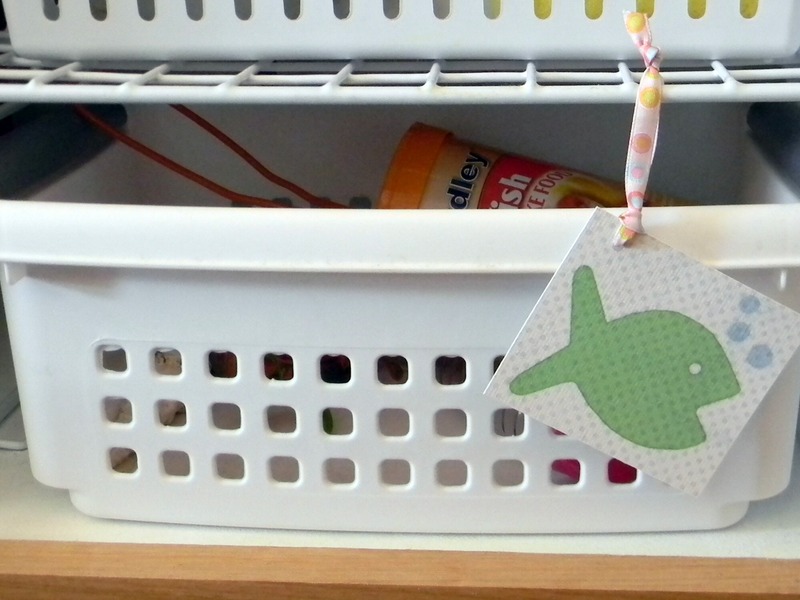 A fish tag shows the kids where the fish food and cleaning supplies are kept. 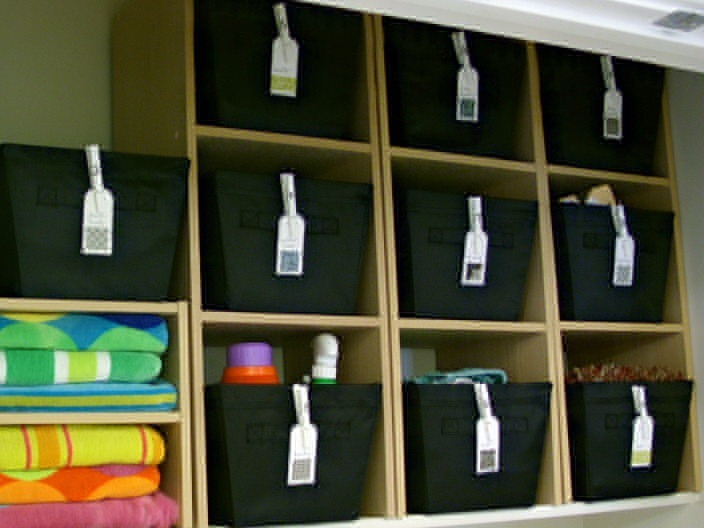 Simple labels were printed on a piece of paper and cut to size for Emilee’s bins in her closet. 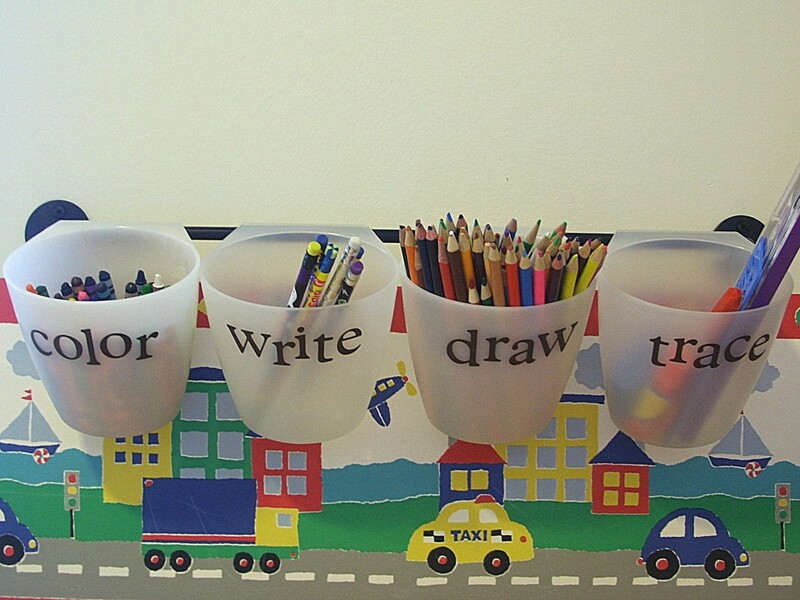 I labeled Ammon’s art supply buckets with vinyl letters cut out with a electronic cutting machine. 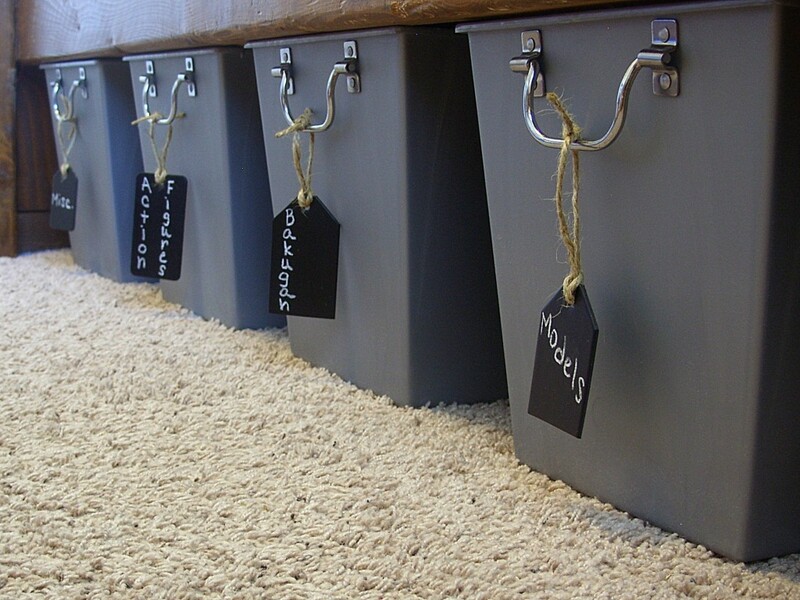 I made chalkboard tags for Zach’s under the bed storage using cardboard and chalkboard spray paint. And I made clothing tags for Emilee using thin wood, scrapbook paper, and stickers. 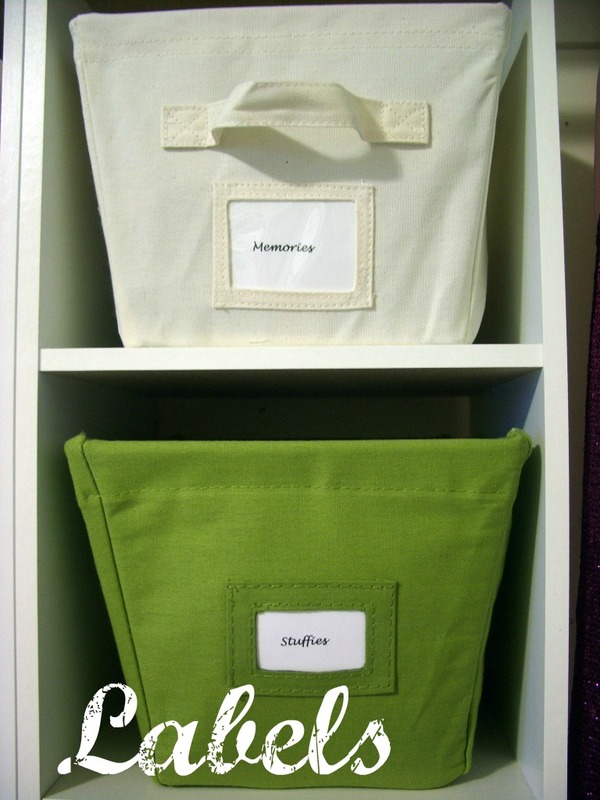 I also attached tags with painted clothespins to the totes in the laundry room. 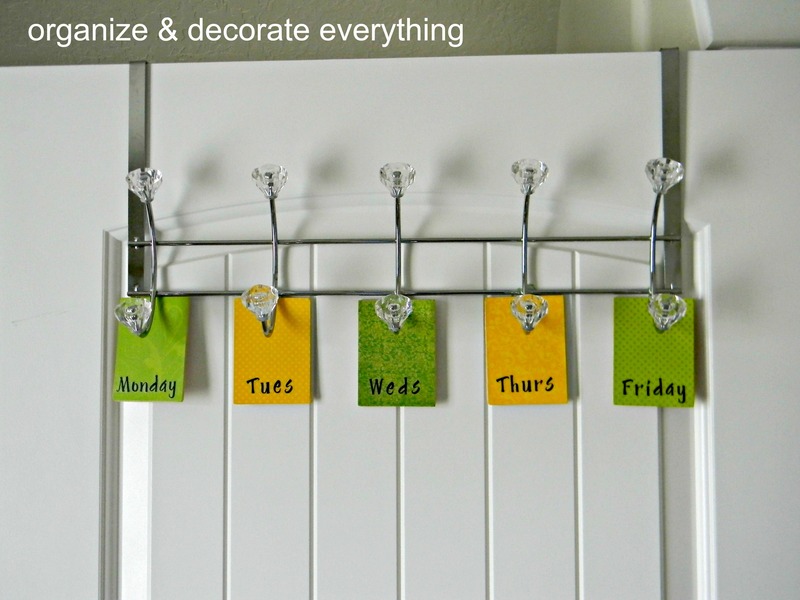 By using clothespins I can move the tags or totes around if needs be. My label maker is probably my favorite organizing tool. The labels are simple and perfect for all the containers in my craft room. Now that I’m in a new home I have plenty of things I still need to label. I’ll be working on that this week. What about you?